1.Range of positive pressure output: adjustable from 120Kpa to 160kpa containing local atmospheric pressure; with LED digital display; error: within ±5%. The tester is designed and manufacturer according to GB 8368-2005 (ISO8536-4:2004 " Infusion equipment for medical us -Part 4: Infusion sets for single use, gravity feed, MOD", It applies an internal air pressure of 50kpa above atmospheric pressure for 15s to examine the infusion set for air leakage. 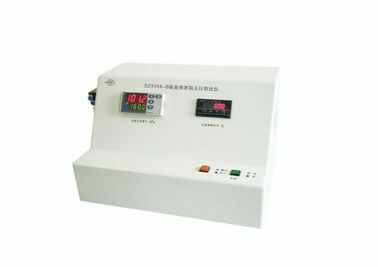 Range of positive pressure output: adjustable from 120Kpa to 160kpa containing local atmospheric pressure; with LED digital display; error: within ±5%.